After a thrilling episodic anime, Kuroneko Yoru no Bouken comes like a dessert, keeping the same flavors the previous meals had. The story is meant to be both funny and serious. Given the fact that the MC is a cat, we get to see the 'human' side of the spies from the outside, when they’re not squeezing out their 396.5 IQ solving Enigma's secrets, memorising maps in two seconds or hiding their identity. That’s not all the story has to offer in two short episodes of 4 minutes each. I was pleasantly surprised to feel the same vibes of mystery I felt watching the anime. The action in Kuroneko Yoru no Bouken happens before Joker Game, during the training of the eight spies. The OP is a shortened version of the original opening; same background music was used to intensify the atmosphere. 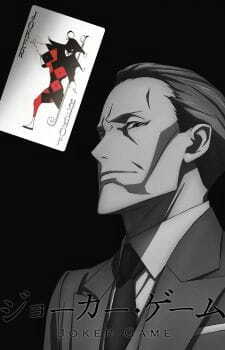 I enjoyed watching this as much as Joker Game’s best episodes.